This is where it all happened. Do you remember? 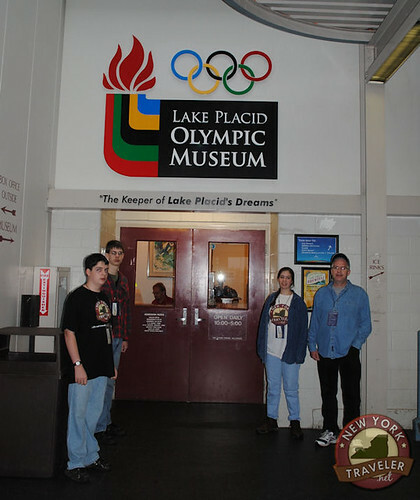 We visited the Olympic Center and the Lake Placid Olympic Museum while in Lake Placid, NY. 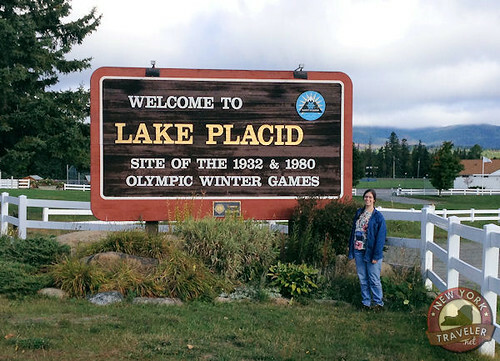 This is the place where the 1980 (and 1932) Winter Olympics were held. 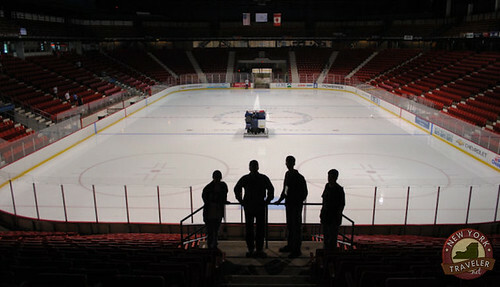 The Miracle On Ice — perhaps one of the most famous sports events in history — happened here at this rink. The ice hockey game took on global importance, as a bunch of amateur 20-somethings from the US battled it out with the experienced and rigid Soviet national hockey team. Guess who won? We watched the entire event at the museum. The kids had never seen the ice hockey game before! 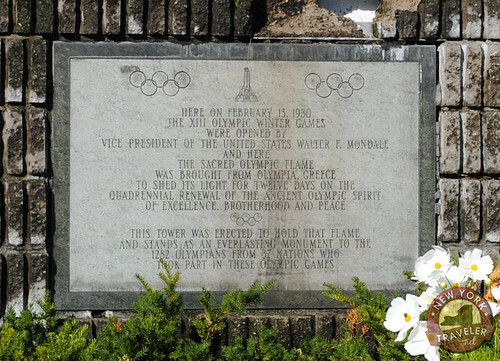 The Olympic Center complex was built by the locals who worked tirelessly to prepare their tiny mountain community for the explosion of worldwide sports events. The PBS documentary “Small Town, Big Dreams” tells the story. 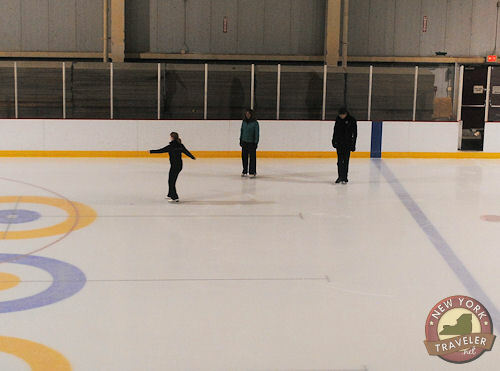 It was here that 16-year-old Sonja Henie won her gold medal in figure skating in 1932. 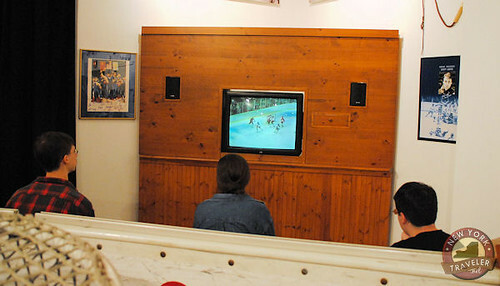 Eric Heiden won his 5 gold medals for speed skating, breaking previously-held records. 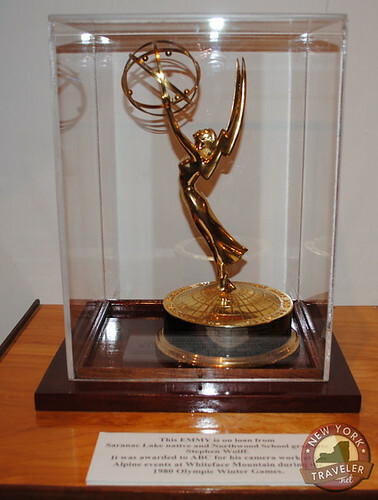 And the stories of excellence abound. This is an historic place. 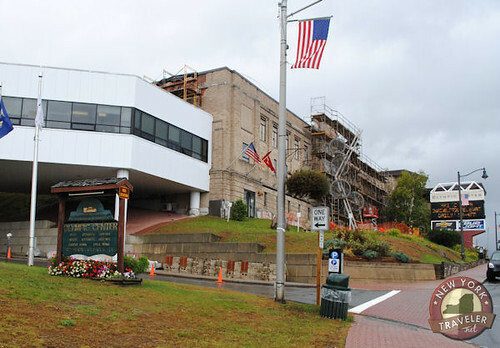 Today, the center serves as a training base for amateur athletes and Olympic hopefuls. You can watch athletes train, too. 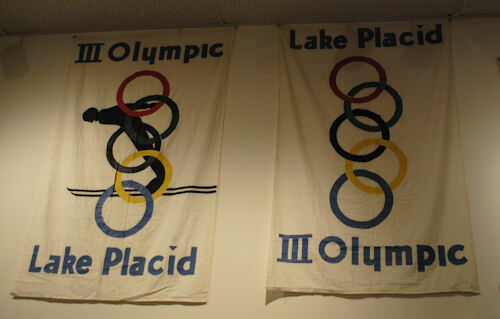 Downstairs is the Lake Placid Olympic Museum, filled with memorabilia deom the 1932 and 1980 Olympics. 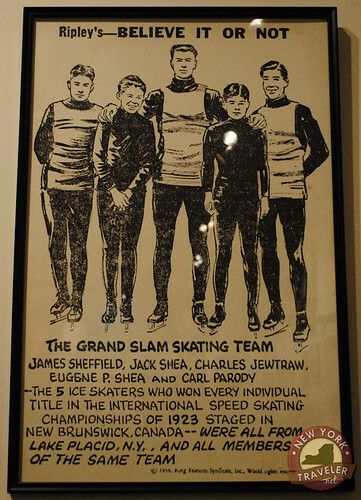 Lake Placid boasts so many local winners that it’s simply incredible. What is it about this community that produces such strong, vigorous people? I was intrigued by the Olympic torches. 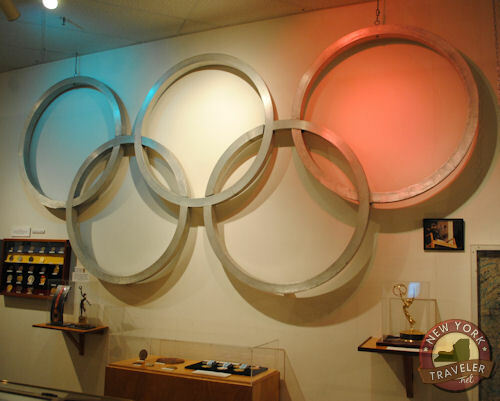 The museum had an entire wall filled with the torches of the past that lit the Olympic flame. 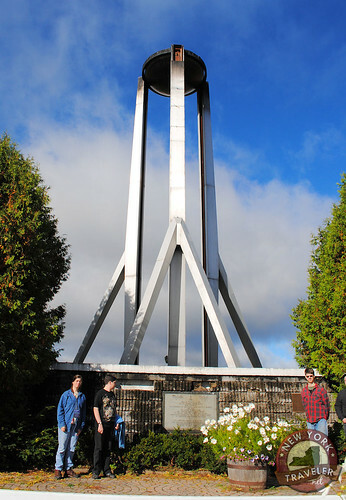 We watched a video of the extensive preparation and elaborate ceremony for the 1980 torch lighting. 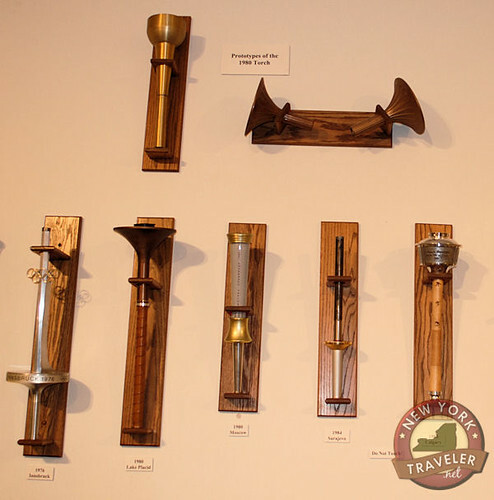 Did you know that the torch was originally lit in Athens, Greece? The fire was transported by ship across the Atlantic, to Yorktown, Virgina. Americans then relayed the fire upon various torches in a nation-wide marathon. The story is quite remarkable. We discovered the location of the 1980 Olympic cauldron at the site of the games. WOW! 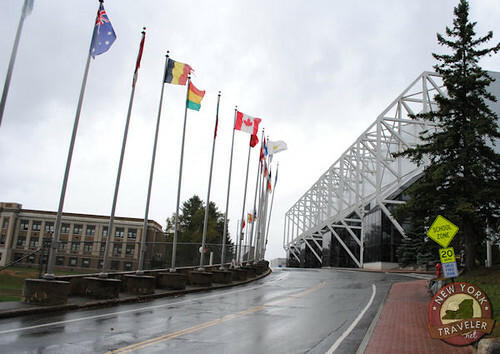 In my naivete, I had assumed that all of the Olympic stadiums were located on one large campus. I discovered that everything is quite spread out, from the slopes of Whiteface Mountain in Wilmington to the southern end of Lake Placid, NY. This was a monumental visit. If you are in the city, definitely drive around, you may find some terrific surprises. 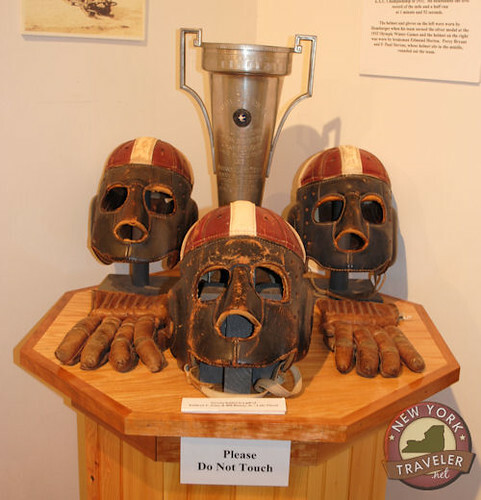 For more information about the museum, check out www.whiteface.com/facilities/oc.php.